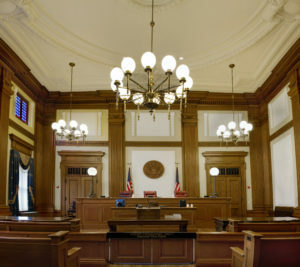 If you are being investigated by the Division of Child Protection and Permanency (“DCP&P”), formerly known as the Division of Youth and Family Services (“DYFS”) in Essex County, if DCP&P took custody of your children and filed a complaint against you in Essex County Family Court, or if you have already been substantiated for abuse or neglect and you want to appeal the investigative finding, the experienced DYFS defense lawyers at the Tormey Law Firm in Essex County are ready to help you. DCP&P has six local offices in Essex County: the Center City Local Office in Newark, the Newark North East Local Office in Newark, the Newark South Local Office in Newark, the Essex Central Local Office in East Orange, the Essex North Local Office in Bloomfield, and the Essex South Local Office in Millburn. Regardless of which DCP&P local office is involved with your family, the Essex County DYFS defense attorneys at the Tormey Law Firm are ready to assist you. It is important to have a knowledgeable DCP&P attorney represent you at every stage of DYFS involvement – investigations, litigation, and appeals – to ensure that your rights are being protected and that the Division is not intruding too far into your family’s life. If you live in Essex County and DCP&P is involved with your family, the Essex County DCP&P defense attorneys at the Tormey Law Firm are available to fight to get DYFS out of your family’s life as quickly as possible. Contact our offices now for a free initial consultation at (908)-356-6900. DCP&P cases in Essex County will be heard at the Essex County Superior Court. There are three different courthouses for the Essex County Superior Court and any DCP&P cases will occur at the Essex County Family Court located in the Wilentz Justice Complex, 212 Washington Street, Newark, NJ 07102, which is open from 8:30 a.m. to 4:30 p.m., Monday through Friday and can be contacted at 973-776-9300. Click here for more information regarding the Essex County Superior Court. For directions to the Essex County Family Court, click here. Care and supervision, custody, and guardianship matters in Essex County Superior Court will be handled by a Judge who sits in the Family Part of the Chancery Division of the Essex County Superior Court. The Presiding Judge of the Essex County Family Part is the Honorable David B. Katz, P.J.F.P., whose chambers can be contacted at 973-776-9446. The Essex County Family Part also has a Children in Court Unit with court staff dedicated to DCP&P cases that is located on the 10th Floor of the Essex County Family Courthouse and can be contacted at 973-776-9300 ext. 57064. Click here for more information on the Essex County Children in Court Unit. There are six Division of Child Protection and Permanency local offices in Essex County, New Jersey. The Newark Center City Local Office is located at 153 Halsey Street, 3rd Floor, Newark, NJ 07101 and can be contacted at 973-648-4200. The Newark Northeast Local Office is located at 153 Halsey Street, 4th Floor, Newark, NJ 07101 and can be contacted at 973-648-2960. The Newark South Local Office is also located at 153 Halsey Street, 4th Floor, Newark, NJ 07101 and can be contacted at 973-648-2400. The Essex Central is located at 33 Evergreen Place, East Orange, NJ 07018 and can be contacted at 973-395-5300. The Essex North Local Office is located at 650 Bloomfield Avenue, 3rd floor, Bloomfield, NJ 07003 and can be contacted at 973-680-3587. The Essex South Local Office is located at 21 Bleeker Street, Millburn, NJ 07041 and can be contacted at 973-218-7400. For more information on the Essex County DCP&P local offices, click here. Although admitting you need help can be difficult, getting help may be one of the most important steps to removing DCP&P from your family’s life. Regardless of if the Division is involved with your family because of allegations of substance abuse or other parenting issues, there are a number of addiction resources and family support services including counseling, therapy, and parenting education available to parents in Essex County. The Family Success Center has locations in Essex County including Newark Broad Street, Newark Prospect Avenue and East Orange. For additional information regarding Family Success Centers in Essex County, New Jersey, click here. The New Jersey Parent Link also has valuable information for parents regarding health and wellness, developmental and behavioral health, parenting education and family support services. For parents in Essex County who are struggling with substance abuse there are a number of addiction treatment providers that are licensed by the Department of Human Services Division of Mental Health and Addiction Services that provide both outpatient and inpatient treatment services. The Division of Mental Health and Addiction Services maintains a list of all of the licensed addiction treatment providers that parents can contact if they need any level of addiction treatment in Essex County. In addition to the substance abuse services in Essex County, the New Jersey Prevention Network focuses on providing substance abuse and addiction services throughout the state.